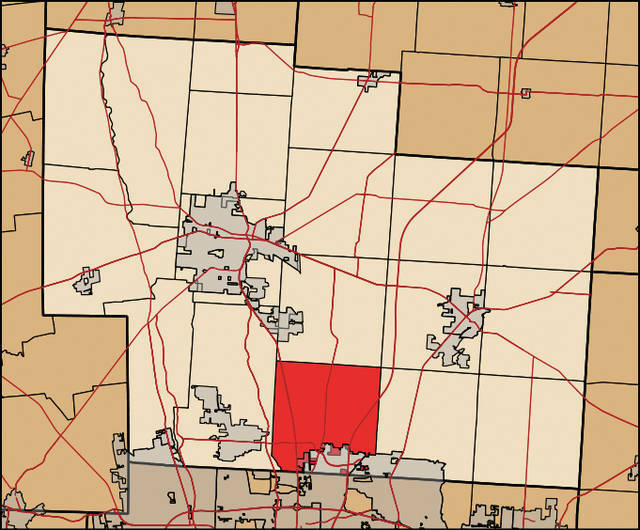 On Monday, Orange Township’s parks board found the township’s trustees lacking a vision for future green space as land becomes limited because of rapid development. Ault told the board of trustees that the park board’s vision for the future is to gain more land to create additional parks, to connect trails, and to connect neighborhoods. She said developers are snatching up land quickly leaving very few parcels for additional parks. Ault said she knew trustees had discussed the “White property” behind closed doors in an executive session, but upon returning to the public meeting they quickly had dismissed purchasing the property. Ault said in a recent poll on Facebook, out 874 votes, 98 percent of residents would like to see the property used as a park or green space. She then referenced the Comprehensive Land Use Plan where residents were surveyed recently. Ault said the parks board would like to see more open discussions about how land can be purchased in the future and how the parks board envisions the use of the property. Trustee Ryan Rivers said Ault touched on two important things, vision and the Comprehensive Land Use Plan. Trustee Lisa Knapp said historically the township has not purchased property in the past other than land for the township hall and the Orange Bridge Park property. “We’ve typically had all of our parkland donated to us,” she said. Ault said the reason there were so many properties donated was that past trustees knocked on doors asking residents if they would be interested in donating their property once they had passed away. Knapp said that North Orange and Glenn Oak Parks were land donations from developers. Rivers said going forward he wanted to make sure what the trustees had a consensus of the public and a strong plan in place. Rivers told Ault the trustees weren’t saying never to additional park space. He said the township needs a plan in place before moving forward. Knapp said the township didn’t have the money to purchase additional land nor was she in favor of “hoarding money” in case a property did become available. “That’s the problem,” Ault said. Offering up a possible solution, Trustee Debbie Taranto said there was the general fund and a property on US 23 that could be sold to offset the cost. “We could actually make more money than what we would use to purchase the ‘White Property,’” she said. This entry was tagged Ault, D. Anthony Botkin, Knapp, Orange Township, Rivers, Taranto. Bookmark the permalink.